Antikrish mentioned on Electro Harmonix Twitter feed! 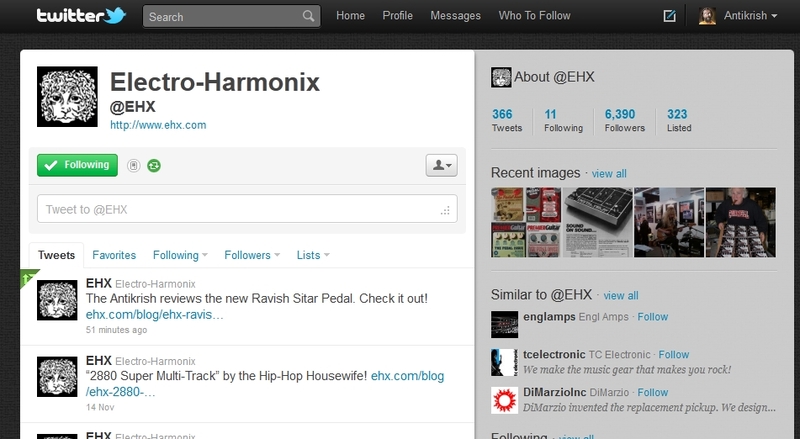 Just logged in to Twitter to check footy news before tonight’s International between England and Sweden; and noticed that my Ravish Sitar Pedal review has been picked up by the Electro Harmonix Twitter Feed! I can now die happy! This entry was posted in Kevs Anti-Rants and tagged electro harmonix, Feed, Ravish Sitar Pedal, Twitter on November 15, 2011 by Kevin.